As Hurricane Sandy rolled into the East Coast, she cut a swathe of destruction that has claimed lives, and crippled some critical infrastructures. She has also stirred up quite a discussion about climate change, resiliency and preparedness, as citizens, policy-makers and thought leaders try to determine how to better prepare for future climate events. In the climate science and policy discourse, a lot of the focus thus far has been on how much of Hurricane Sandy can be attributed to climate change, and how many more Sandy-like storms we can expect in a climate-changing future. While these are very important questions (and some good answers can be found by Chris Mooney here and Brad Plumer here) they represent only a fraction of the questions we should be asking about climate change, and the risks associated with increases in the frequency and intensity of extreme weather events. Below, we’ve cobbled together a quick picture of some of the broader questions being asked about climate change, risk preparedness and recovery. We’ll be updating this post over the next couple of days as more information becomes available. What kind of technology and monitoring capabilities are needed for preparing and responding to extreme weather events? In short, with more extreme weather on the horizon, is it really a good idea to decrease our technological capability for measuring climate change, and monitoring storms? 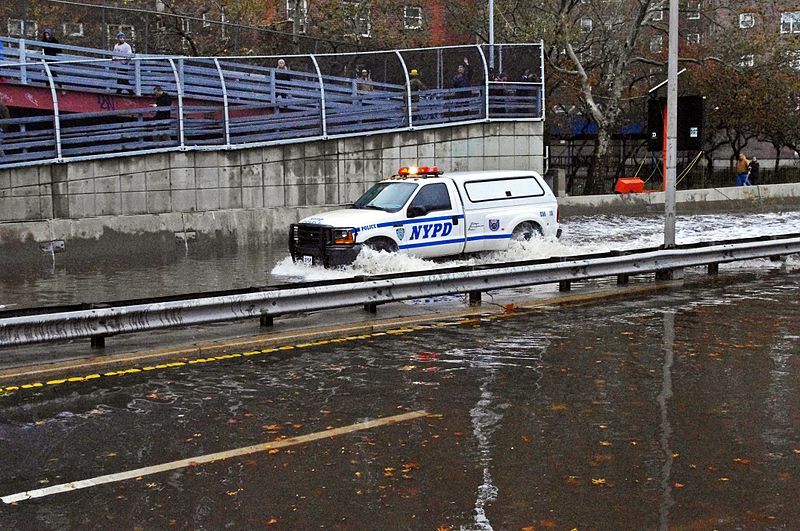 Perhaps Sandy will compel our policy-makers to rethink some of these short-sighted decisions. What are the respective roles of federal, state and local governments? There is a lot to be said for having these roles figured out before disasters strike. With climate-related events, we are able to model the general parameters of the impacts of a specific event (i.e. storm surge in Lower Manhattan), which is good for advanced planning. Tracy Gordon with Brookings wrote a piece titled “State and Federal Disaster Relief: Expect the Best But Prepare for the Worst?” It provides a nice overview of the federal disaster response system, and also raises some good questions about how the system might be improved. How can we learn from past events? This is a perennial question, but given that we know with a high degree of certainty that there will be more frequent and more intense extreme weather events in the future, it is not a question that should be put off until the next major climate event. Regarding Hurricane Sandy, there are several articles looking at the warnings by NASA and others who have conducted detailed studies of the vulnerabilities of the US to climate events. Chris Mooney highlights NASA’s study on sea level rise in New York, and how these warnings did not get the attention they deserved. Andrew Holland with the American Security Project noted that his organization released a state-by-state analysis of climate change impacts in 2011 (including New York and New Jersey) titled “Pay Now, Pay Later: A State-by-State Assessment of the Costs of Climate Change.” They will be releasing their 2012 Climate Security Report tomorrow (Nov. 1). This report will certainly provide some good additional information for planning for the future and understanding climate risks. By Francesco Femia & Caitlin Werrell in climate and security on October 31, 2012 . Thank you very much for posting this. Please, keep me posted as much as possible. Keep observing how story develops.